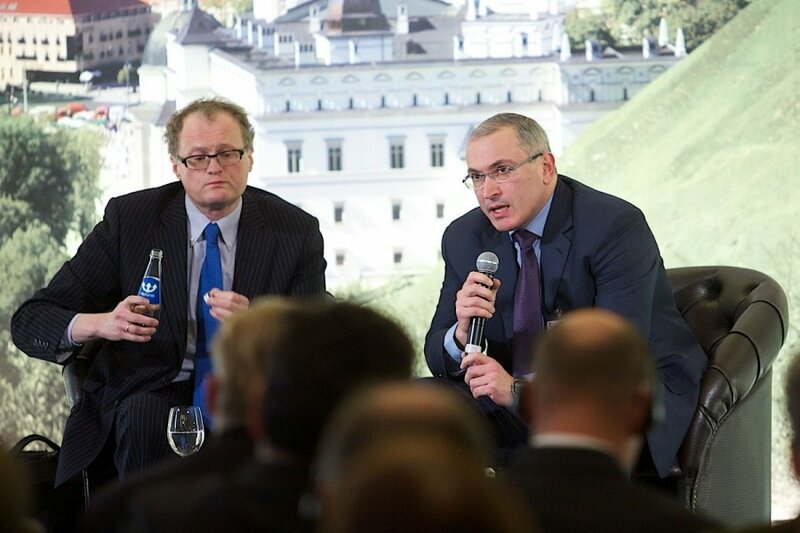 Mikhail Khodorkovsky's speech in Vilnius last week drew considerable controversy, with some saying his suggestions of easing economic sanctions on Russia played right into Vladimir Putin's interests, while others noting Khodorkovsky's sober and measured reasoning. The following is a full transcript of Khodorkovsky's address, translated from Russian by Katerina Sinkevičienė. unpleasant part of yet another address. You have heard many of them. The past year’s events have demonstrated that Europe has closely approached the turbulence zone. Inter alia, the crisis in Ukraine has become a new constant in European policy. It will not end tomorrow, therefore it is necessary to be psychologically ready to address it with long-lasting tools, with solutions intended to function not for one year but rather for a decade. For a long time Europe was ignoring the disturbing signals about human rights violations in Russia, about the collapse of the judicial system and the degradation of democracy, supposing these issues to be trifles which should not influence the big politics. However, now, when Ukraine has flared up, Europe was roused to discover that it needs to learn to co-exist with the aggressive regime that is hostile to core European values. At this point, the only international tool for the Kremlin’s aggression containment is the economic sanctions. These sanctions were adopted as an emergency action in emergency circumstances to prevent a large-scale war in Europe. Today, looking back, we can state with confidence that the sanctions have played a positive role. But the long-term effect of these sanctions in their current form appears disputable. The sanctions have substantially cut the economic opportunities of Putin’s regime. But that is not even the main thing. They [sanctions] have demonstrated the unity and decisiveness of the West which was not foreseen by the Kremlin. Putin was not stopped by economic hardships per se, but by the impossibility to calculate how far the West is ready to go supporting Ukraine. Uncertainty and vagueness are always more frightening than the real threats. But there is always a “but”. At the same time, the sanctions encouraged the consolidation of the elite and Russian society around the regime, which actually often happens when facing the image of an external enemy. In doing so, by narrowing the regime’s economic opportunities, they have expanded its political scope. It [the regime] was granted such a level of support on which it could not count in other circumstances. This political airbag, as strange as it may seem, on its own terms is a factor capable of provoking a new outburst of aggression. Meanwhile, the sanctions invoke a serious discontent in the economic and political circles of Europe itself. We see that Putin’s popularity among the far-right parties of Europe, as well as partly among the left-wing ones, is growing. Putin’s supporters in Europe, about whom we should not at all forget, will be striving to undermine Europe’s unity, progressively forming a tolerant attitude to Putin’s regime. I have no doubt that the infamous corruption practices of our government will find here the broadest application possible. All of this sooner or later will lead to corrosion of the sanctions policies and to a substantial decline in their efficacy. It will start developing breaches here and there and the overall effect of the sanctions is going to get blurred. Because of this reason exactly, it is important to start considering a new long-term strategy. This does not at all mean that Europe should capitulate before the Putin’s regime, to forgive and forget the military undertaking in Ukraine and the blatant political blackmail. It is simply necessary to seek more effective and selective ways of influence that are intended for long-term action, where their boomerang effect in the long term will not outweigh their constructive impact. Europe needs to think how to suppress the expansion of the corrupt and revanchist forces in Russia without rallying the [Russian] nation around them. A good example here is the Magnitsky law. I will never tire of repeating: it is important to distinguish between measures undertaken against the Putin’s regime and measures undertaken against Russia and the Russian economy as a whole. I believe that we should get rid of the latter with time, replacing them with targeted sanctions against the loyal Putinists and those they rely on, first and foremost those who provide economic base for them, against the siloviki who have turned the whole Russia into a “prison zone”, against the criminal element which, as we may now be convinced, often becomes a tool of external aggression. Do not help to create an image for Putin and his friends inside Russia of a martyr and fighter for the rescue and preservation of the “Russian world”. On the contrary, Europe has to demonstrate that impudent, boundless, and illegal enrichment is these people’s only interest, and that under the cover of talks about Russia’s greatness, they are in fact plundering their own country, destroying its international authority, and depriving the future generation of Russian citizens of any prospects. Europe, in fact, has much to say on this subject, but for some reason it is bashfully quiet. It turns out that it is much easier to adopt sectoral sanctions than to openly talk about what kinds of benefits the regime’s officials are enjoying in the West and who advocates in their support and why. The regime is not floating in the air; it is actively supported by people who have learned to draw a considerable profit from its existence. This is both, the bureaucrats who have worked their way into business, and the captains of business who have fused together and practically became the trusted managers of the state assets. This is also the siloviki who carry out the terror, and the propagandists who justify it. They all serve the regime not without their ulterior motives. All of them together buy up, intimidate, and deceive the Russian people, turning them into an obedient tool for their manipulation. It is against these persons, and not against the Russian people, that the impact should be aimed. 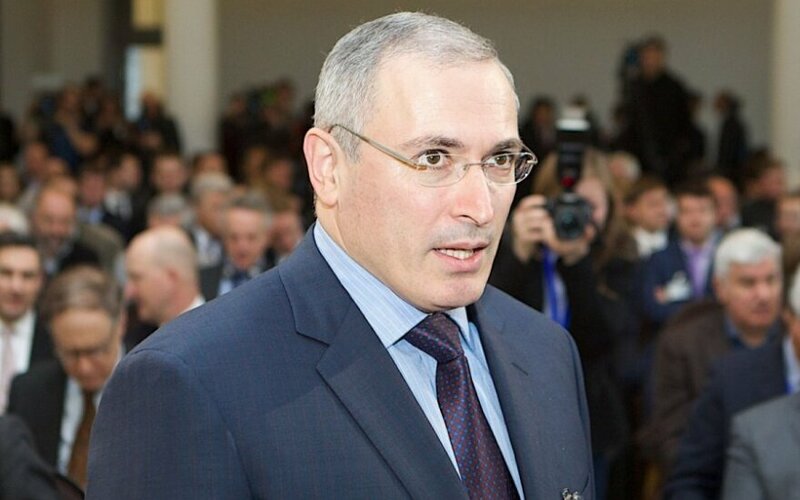 Oftentimes, no extraordinary measures are needed in order to affect Putin’s regime. It only requires a thoughtful and systemic application of existing laws, aiming to fight against the export of corruption and money laundering. But it appears that the simplest task is exactly the most complex one to carry out. A random honest Russian entrepreneur finds it impossible to even take a breath in Europe freely (since this is how the simplest of procedures are over-regulated, also as a result of the sanctions policies). High-ranked bandits and treasury thieves pass right through them with all existing restrictions like a warm knife through butter. I understand that this is not a simple task, and in addition, not an ordinary one. Europe, I am convinced, has never encountered such a large-scale export of corruption, which is, moreover, coordinated at the state level. Ready-made solutions do not exist, but there is one tried and tested instrument. The information about what the Russian elites own or owned in the West, to where and from where the financial flows from Russia go, with whom and about what the Putin’s inner circle has arrangements, needs to be open. Russia “needs to know its heroes”, while Europe should know its own and those of others, too. Construction of containment system for one of the mightiest corrupt regimes in the world is not a simple task. But containment alone is not sufficient. The pro-European part of the Russian society needs to understand that its oftentimes selfless efforts do not remain unnoticed here [in the West]. The task of policy of engagement needs to continue being resolved, but not only in relation to the Kremlin regime, but in relation to the Russian society. Besides, [it should be] solved in an absolutely practical manner – in the matters of visa policy, support for mass communications media, etc. The tasks of containment and engagement are not simple, but they need to be resolved, not so much in the interest of Russia or Ukraine, but in the interest of Europe itself. Thank you for attention. Mikhail Khodorkovsky took part in Vilnius Intellectuals Forum, organised by the Eastern Europe Studies Centre and the Ministry of Foreign Affairs of Lithuania on 16 January.